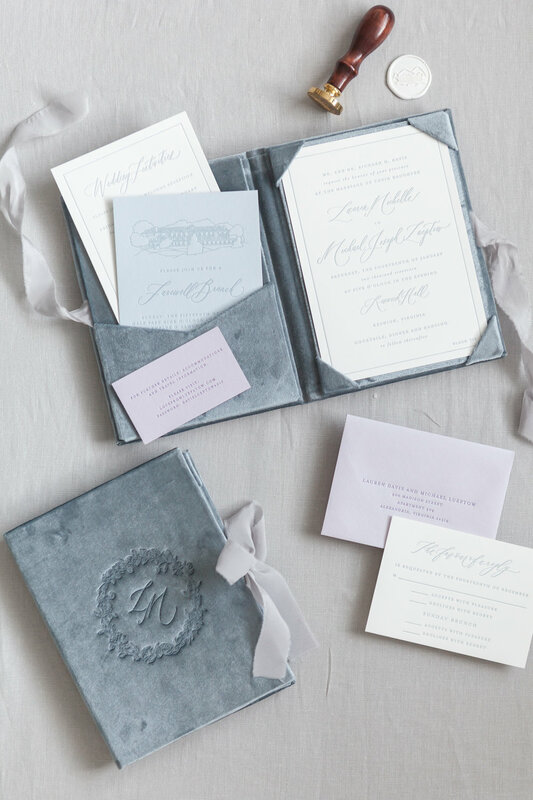 A soft palette of grey blues and pastel purples create a beautifully romantic look in this custom suite. 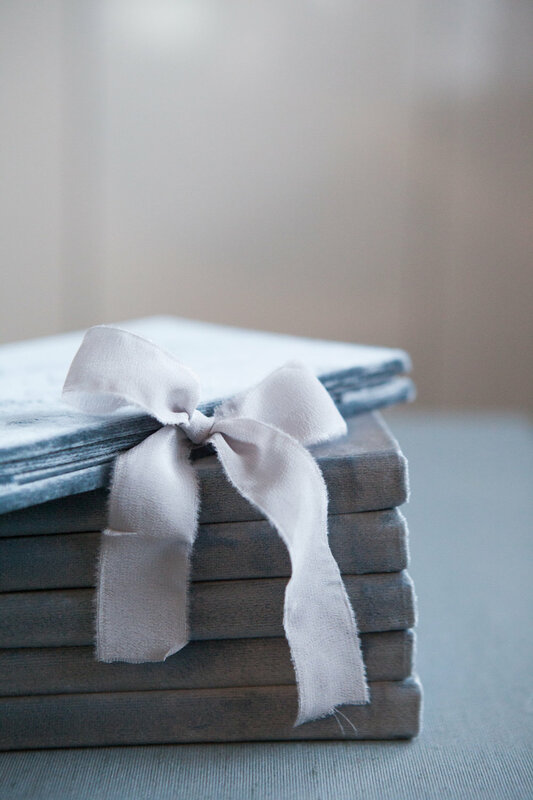 Blue and lilac letterpress create a subtle texture and tie together the different coloured cards. 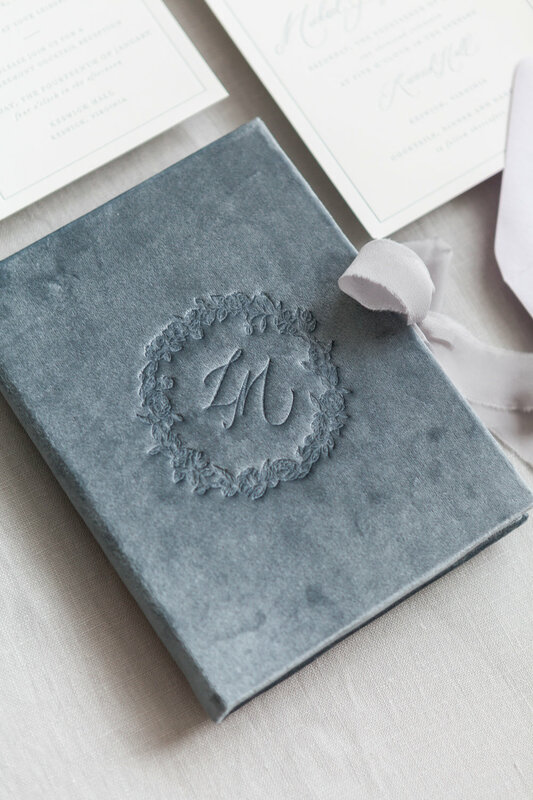 A velvet folio closed with a silk ribbon holds all the elements of the suite and creates a lux focal point with the monogram delicately pressed into the velvet.